CAD software for anyone, anywhere, anytime. Learn about AutoCAD. More than 250 million people around the world use Pinterest to dream about, plan, and prepare for things they want to do in life. 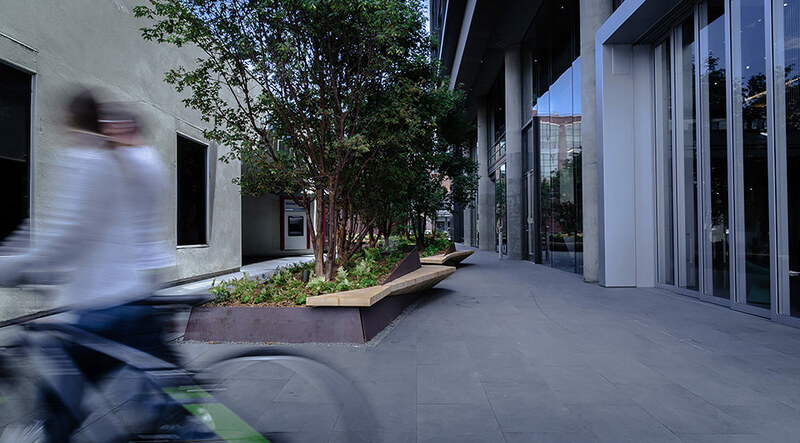 The company wanted to extend the interior lobby of its San Francisco headquarters to the outdoors, to an area that is a privately owned public open space. This shared, narrow, multipurpose area also needed to be sustainable, complete with a sophisticated recycled gray-water system for land irrigation, among other things. 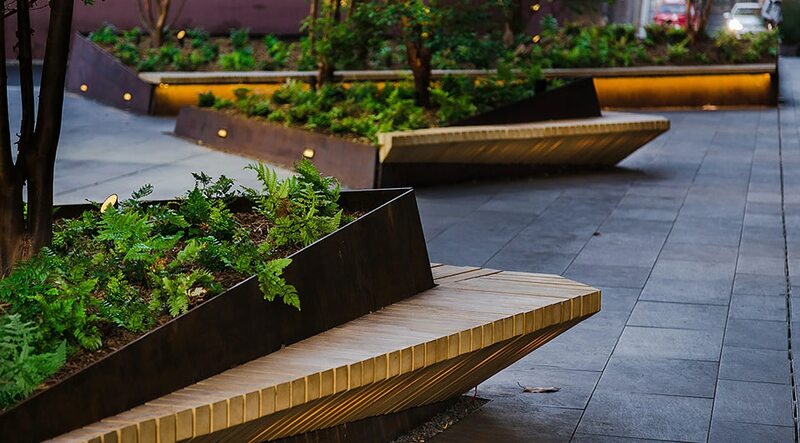 Munden Fry Landscape Associates was able to meet the challenges of designing for sustainability using AutoCAD, creating a beautiful outdoor garden setting with ample seating for Pinterest employees, the surrounding community, and the public to enjoy. This unique space—a narrow pedestrian alleyway that connects Pinterest on Brannan Street to Bluxome Street—needed to function for multiple uses and serve multiple surrounding companies and many passersby. Creating a design to meet various needs and purposes was critical and required a cohesive, aesthetically appealing design. Other challenges were inherent with the tight space, including a property line and creating a gray-water system. Privately owned public open space at Pinterest headquarters. Courtesy of Alexandria Real Estate Equities, Inc.
Alexandria Real Estate Equities, Inc. (which owns, operates, and develops the property) and developer TMG Partners turned to Munden Fry Landscape Associates (MFLA) to solve the design challenges of this privately owned public open space. Marta Fry, who heads the design firm with James Munden, is no stranger to urban projects. Munden reinforced the importance of knowing where things stand in real time for such an intricate project. He explained that MFLA starts with sketches before moving to model forms. The real challenge is in transcribing this information and coordinating between disciplines—in particular the architect, civil engineer, structural engineer, and fabrication team. AutoCAD is instrumental in achieving the accuracy required and the collaboration from design through construction. “No one knows what it takes to build these projects,” Fry says. 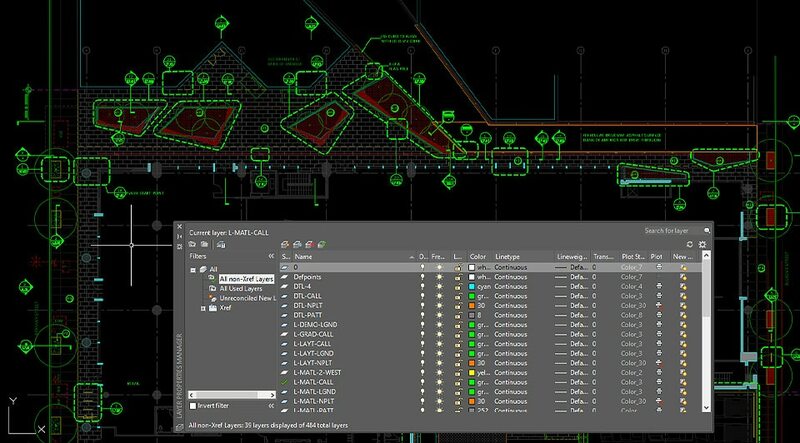 “AutoCAD allows us to put together layers that are ‘visually buried,’ such as drainage or electrical systems, in a very precise and accurate way. We are able to not only connect the dots, but also make and track changes efficiently. The level of precision this supports is a game changer. Most importantly, the space incorporates one of MFLA’s design principles: sustainability. One of the complexities of the project was the need to meet rigorous water-management standards and incorporate a unique recycled gray-water system that would be used for landscape irrigation and within the Pinterest building for toilets. But a property line that dissects the passageway proved to be a big challenge—and a seemingly simple drain is much more complicated than it appears. Landscape design for Pinterest in AutoCAD. Courtesy of Munden Fry Landscape Associates. “Storm water collected on a property needs to stay on that property and get treated on that property—you can’t disperse it,” Munden explains. “We created a high point in the center of the space where the property line is and created a dual-drain system. There’s a slot drain that runs the total length of the city block that collects the water on the Pinterest property. It then goes to a holding tank beneath the ground lobby in the basement for processing. Designed to be both a connector and an extension to the transparent Pinterest lobby, the site is composed of angled steel planters embedded with cedar benches, forming a complex geometry and relationship of planter to seating. Planters and benches in the space. Courtesy of Alexandria Real Estate Equities, Inc. 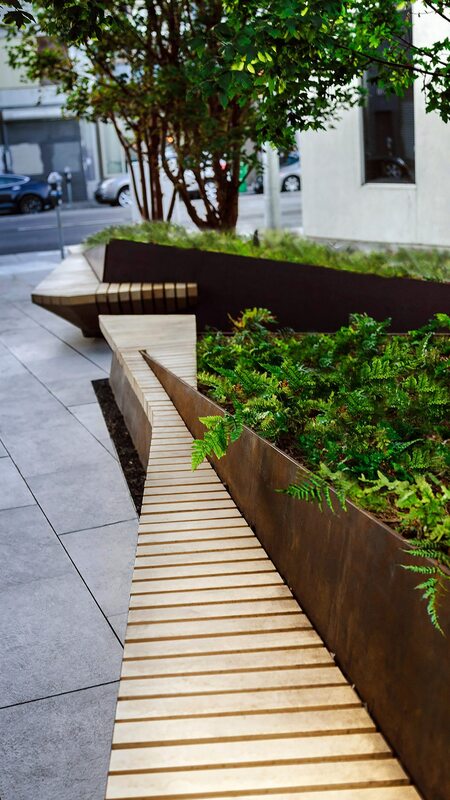 The design intent utilizes the planters to spatially organize circulation and define axes, while the sculptural benches provide an integrated seating system, creating a suspended or cantilevered effect. Multitrunked paperbark maple trees (acer griseum), underplanted with autumn ferns (dryopteris erythrosora), thrive in this eastern exposure. New streetscape frontages at both Brannan and Bluxome and a private rooftop terrace complete the space. A 3D model of IMCO’s mine water–treatment plant project. Courtesy of IMCO Construction. But the biggest impact beyond the improvements to the construction and operation phases was IMCO’s ability to tap into a new O&M revenue stream. 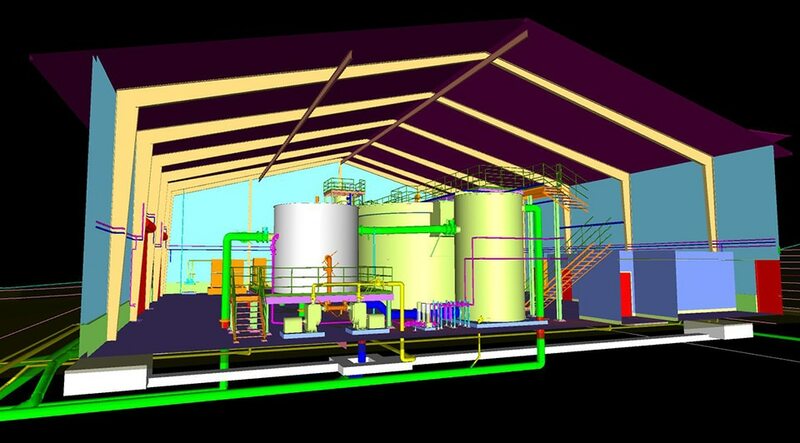 By embracing BIM processes in construction, IMCO positioned itself for success in the increasingly connected future of construction. A version of this article ran previously on Redshift. Photos courtesy of Will Austin.